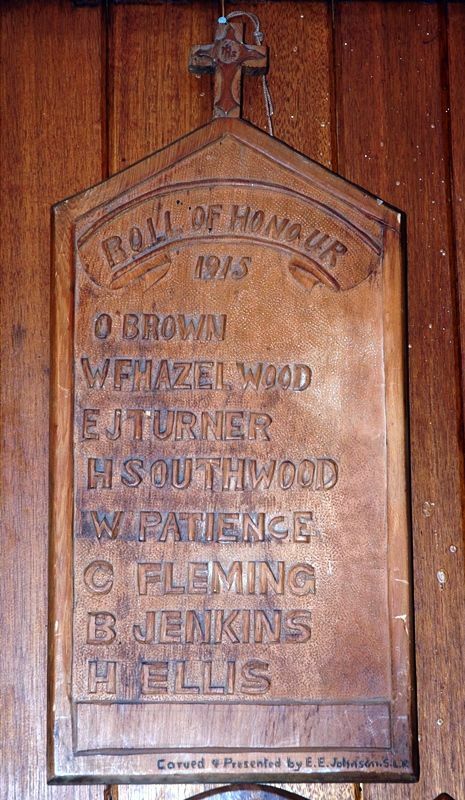 A wooden honour roll commemorates those who served in World War One.. It list the names of 8 service personnel who enlisted in 1915. Carved and presented by E. E. Johnson. S.L.R.